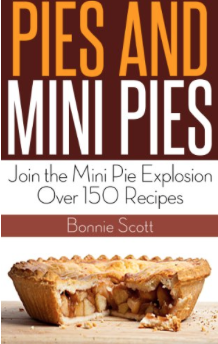 Amazon is offering a FREE Kindle download of this Pies and Mini Pies Cookbook. Bite size mini pies are all the rage. The teeny tiny pies are so easy to eat and portion control is built in. These little baked goods are cute displayed in cupcake racks or put together into a shape like a Christmas tree for holiday parties. They make perfect party hors-d’oeuvres since they are finger food. And they are fun to make and can be made in advance of your get together.